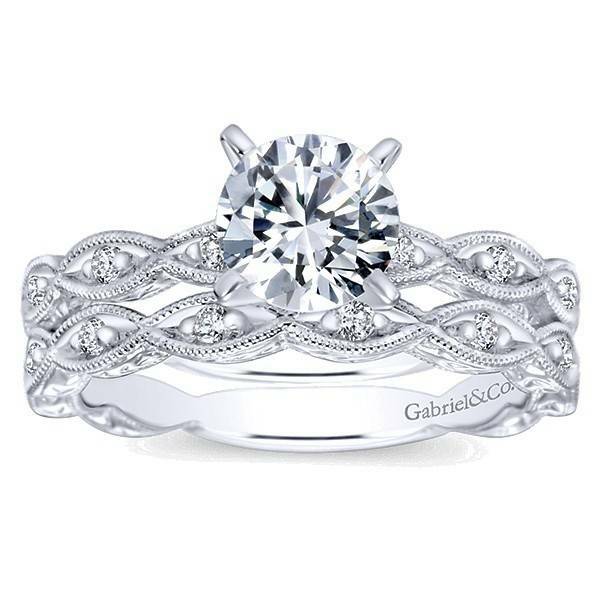 Mesmerizing ribbons of diamonds are accompanied by hand cut etching for an all around luminous shine. 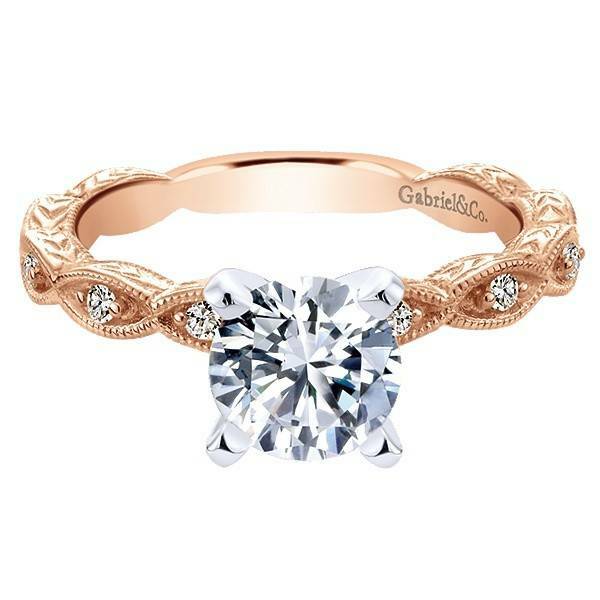 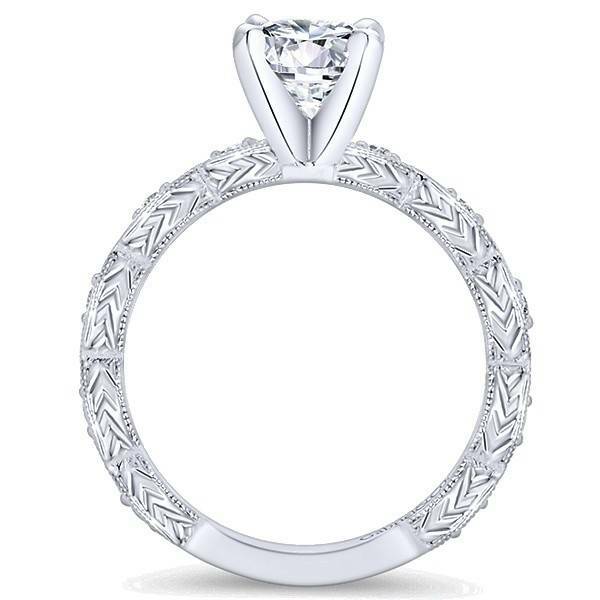 Milgrain borders lend a distinctly vintage touch to this elegant engagement ring. 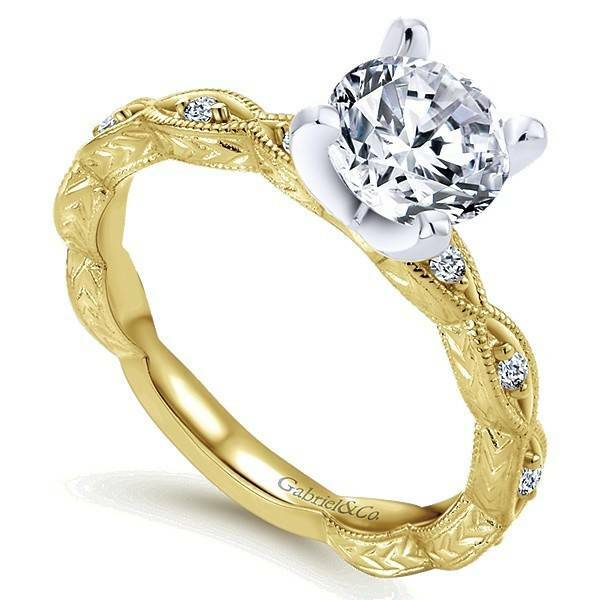 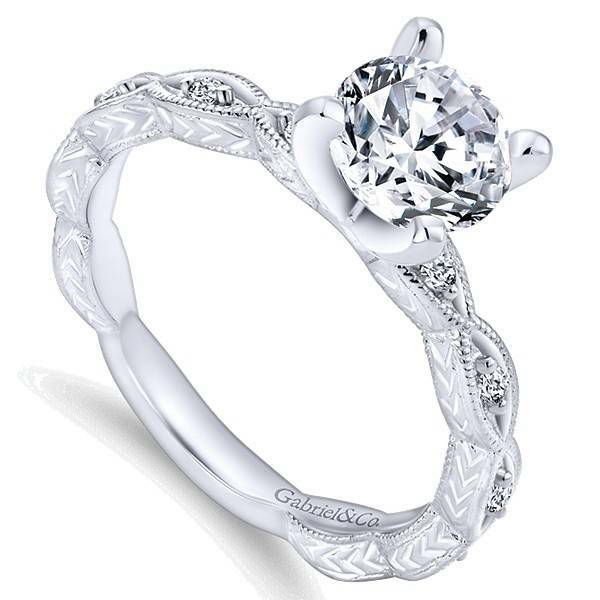 The Sadie engagement ring.